I can’t decide what to do with this here little blog. I don’t know that I have anything terribly unique to say, but I do like having a record of the things I make and find and like. Instagram and Pinterest make it easy to share and save a lot of those things, but I think this can be a space to elaborate a little more on some of them. So that’s what I’m going to do more regularly here, I think. We’ll see how it goes. Here’s a little something delicious to try. Recently Mr. Heylucy and I went out to eat at a local cantina. I was intrigued to find a mushroom appetizer on the menu, since I don’t usually think of mushrooms when I think of Mexican food. They were so delicious that I had to try to replicate them at home. It took a couple of attempts, but they were really quite easy to make. This is my usual non-recipe recipe, exact measurements aren’t essential and should be adjusted for your own tastes, and for the number of servings you need. For two servings I use about half a pound of mushrooms, a couple big cloves of garlic, and an equal amount of onion, and one chipotle along with whatever adobo sticks to it when removing it from the can. Melt a generous knob of butter in a skillet over medium-low heat. Add the garlic and onion and saute until softened. 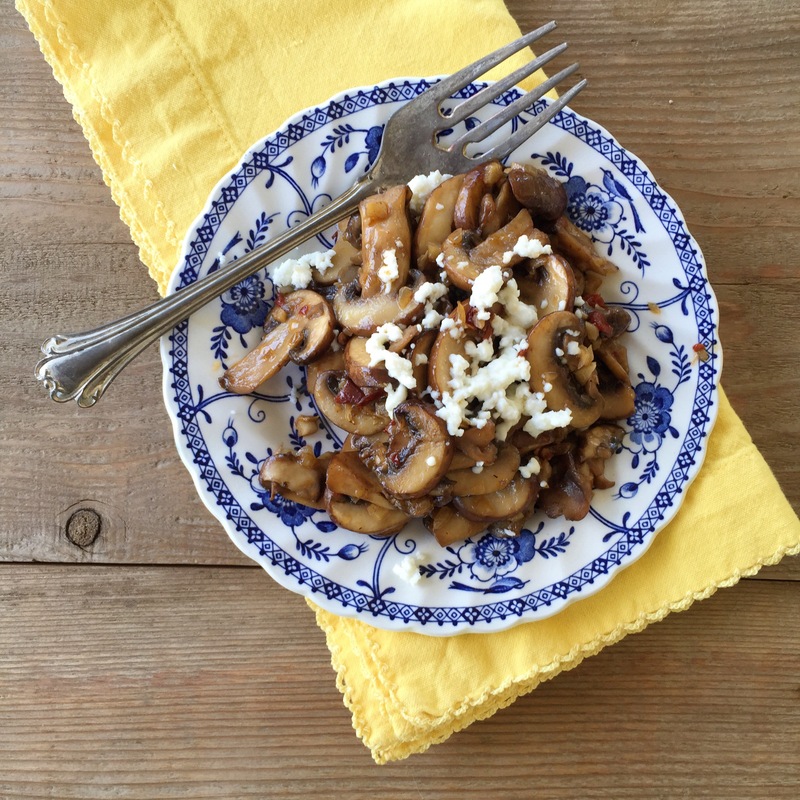 Add the mushrooms and turn up the heat just a bit to medium. Cook, stirring occasionally, until they start to get a little brown. Add more butter if the pan starts to look dry. Add the chipotle and epazote if you have it, and stir to combine well with the mushrooms. Cook, stirring regularly just a few minutes more, until the mushrooms are tender and a little crisp around the edges. These are delicious just as they are, but you can sprinkle a some queso fresco on top and just eat them like that. They make a nice taco filling if you have some good, fresh corn tortillas, and they would be perfect as a side with some carne asada. Since I still have Fair Isle on my brain, here’s a quick little project to get your toes wet and use up your tiny scraps. 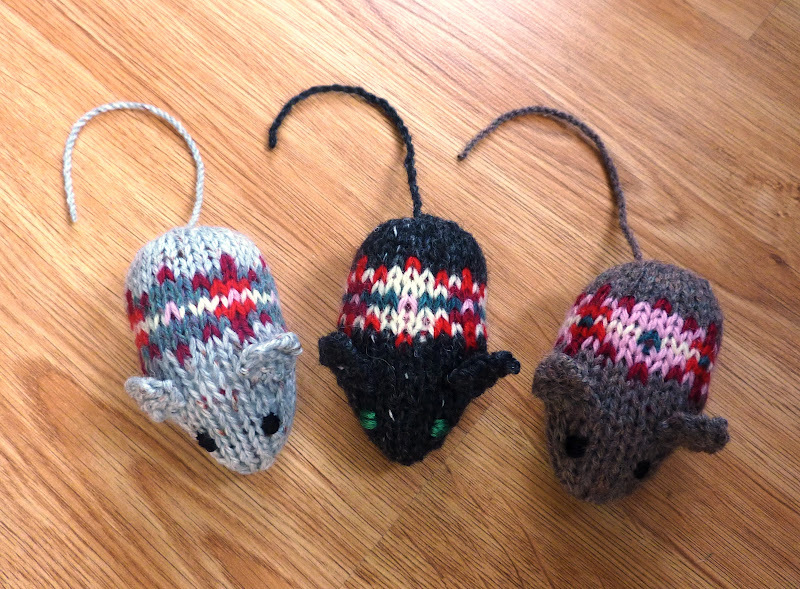 Fair Isle Mice! How adorable! 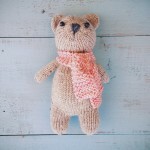 I might need to make one this week. I got bit by the Fair Isle bug recently. 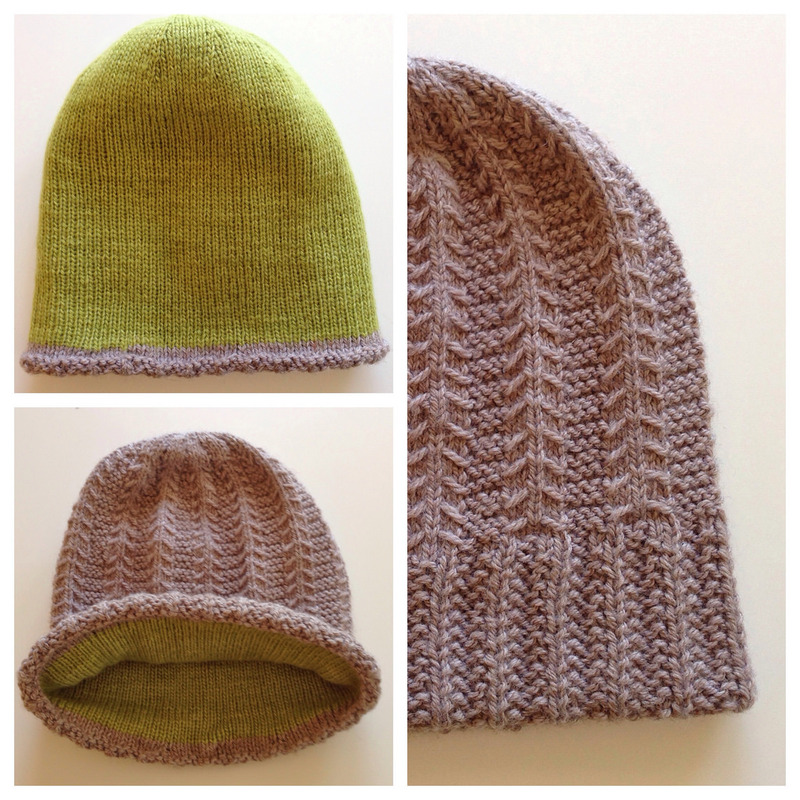 It all started with the making of a hat earlier this spring. I’ve been doing a bit of reading and research, and made a mitten for a bit more practice (is it just me, or are mittens more difficult than hats? I had a much harder time keeping the floats even and not too tight). Then I bought some neon pink yarn to use for pocket linings on a sweater that I will not even be able to cast on until later this fall. It sat in my knitting basket, taunting me with its cheery brightness, especially next to the charcoal grey yarn I plan to use for the body of the same sweater. 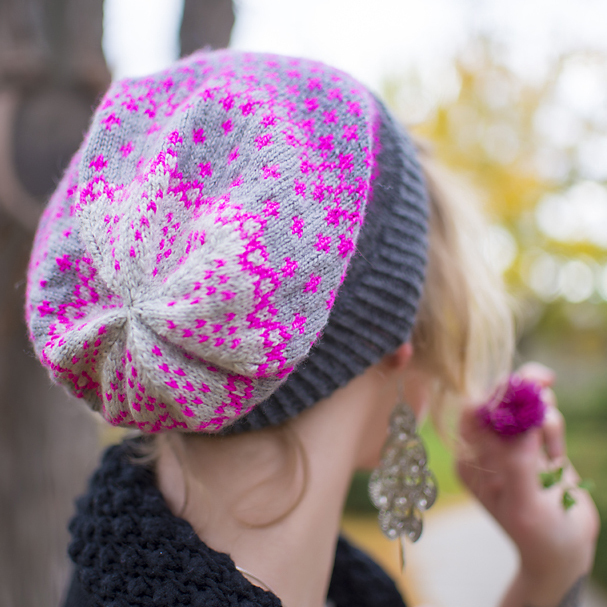 And then I had a vision of a Fair Isle-style hat in those two colors. So I printed up a few sheets of knitter’s graph paper, and got out my colored pencils and started coloring. I also have a basket full of Knit Picks Palette yarn, and pulled out a few more shades of grey to make an ombre background. I’m having a lot of fun figuring out a pattern, I knit a little, then color a few more rows on my graph paper, and knit a little more. 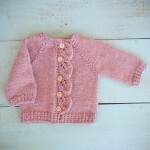 If it all works out (and I’m thinking it’s going to), I’m going to be writing up the pattern to sell on Ravelry. 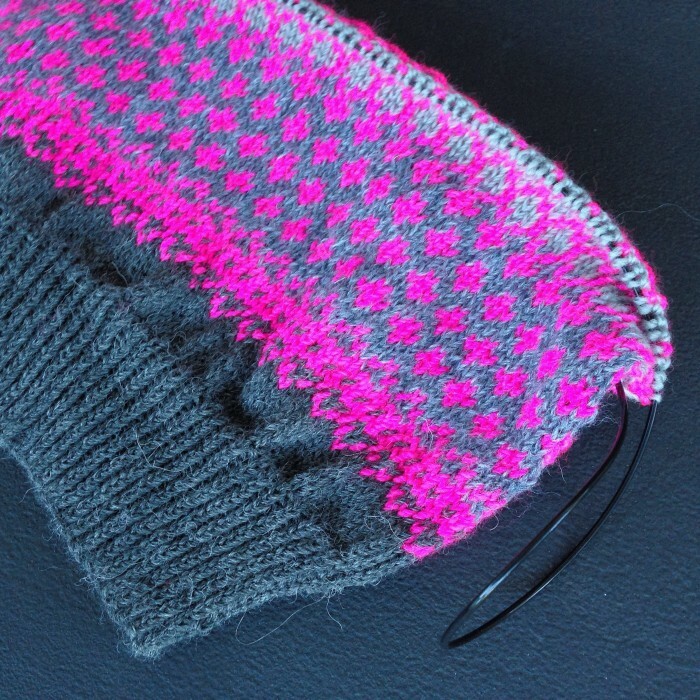 Color work like this is so addicting, I always want to do just one more row to see what the pattern will look like! 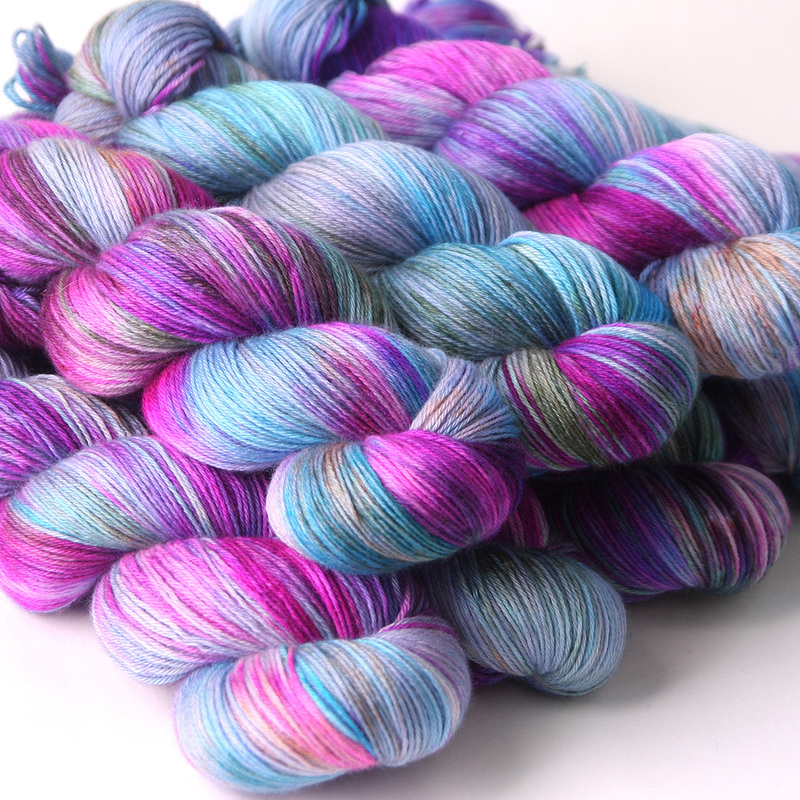 Oh, and it seems that photographing neon yarn is really tricky. I’ll try to do better once it’s all done! This site is more than helpful. Well, hello! I think I’m back, I hope there are still a few readers left out there! I thought I’d return with a quick app recommendation. The last few months I’ve spent quite a lot of time sitting on my porch. I wasn’t feeling too well earlier this year, and then I had a minor surgery to fix the problem (it’s all very boring and frankly, TMI for the Internet), and so then I spent my recovery time sitting and reading or knitting and watching all the birds in our yard. 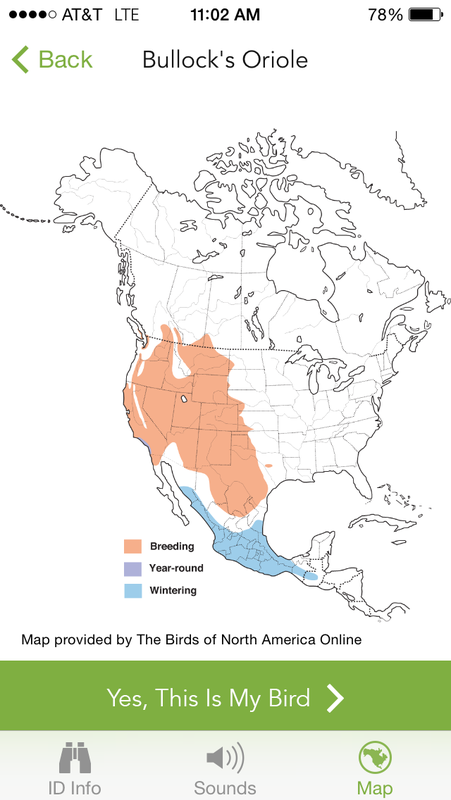 I started noticing a lot of different birds that I hadn’t seen before, and wished I had an easy way to identify them. The Cornell Lab of Orinthology is such a great source for all things bird-related, and it turns out they just released a Bird ID app called Merlin. You just answer a few questions, and it returns a list of possibilities that includes multiple photos of each bird as well as recordings of their songs. So now I can sit on my porch, see a bird, open the app and find out just what it is in seconds. 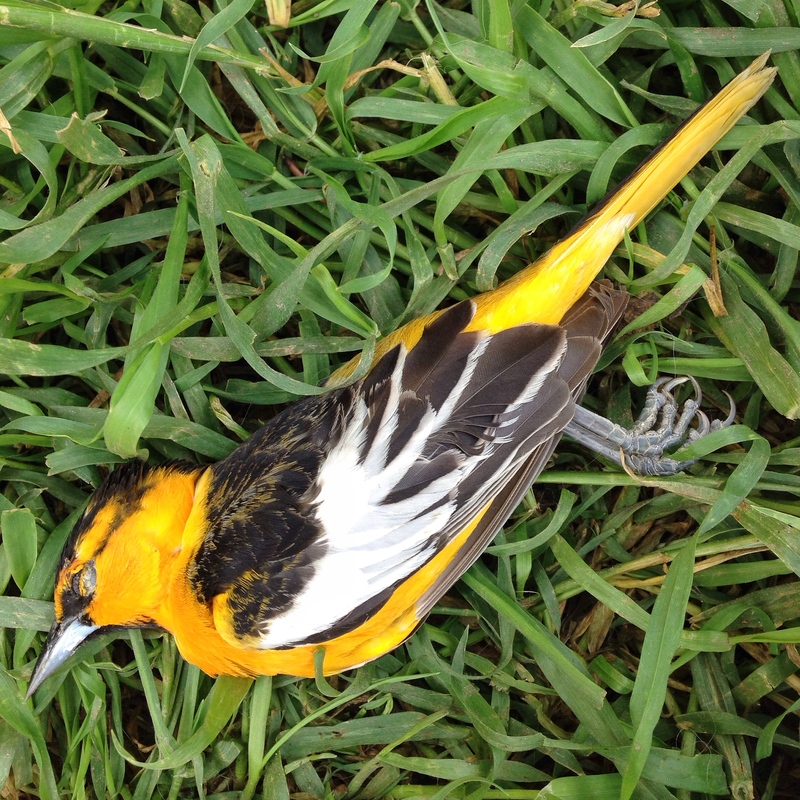 Earlier this spring I found a beautiful, but sadly dead, little bird in the chicken pen. I had never seen anything like it before. 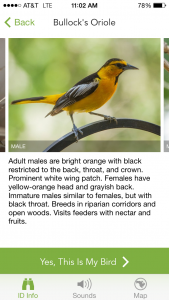 Using the app, I’ve now learned that it’s a male Bullock’s Oriole, and that it was probably in the area for breeding season. By identifying the birds that you see, information is added to the lab’s database. The app doesn’t save the birds you find, which I found unfortunate, but you can send comments to the developers, and when I sent a message requesting the ability to do just that they were quick to reply that they have many such improvements planned for the near future. I never thought of myself as a bird watcher, but I may have started researching binoculars for viewing birds. A fun movie (based on a true story) about birdwatchers. I never knew this was a thing! My Pinterest board, of course. I’ve got these bird watching binoculars in my wish list. I’m behind on my book-reading goal for this year. I’ve been in a bit of a reading lull I guess. I have been reading the Inspector Gamache series by Louise Penny, which I guess you could classify as a “cozy mystery” series, but they’re much more. Gamache is the wise and gentle head of the homicide division for the Quebec police. His team is tasked with solving murders all over the province, many of which seem to happen in the tiny village of Three Pines, located near the Canadian border with Vermont. The town doesn’t appear on any map, but it’s the kind of place I would like to live (except for all the murders, of course). There’s a cozy B&B, a bistro where the food all sounds delicious (seriously, I can’t read these books when I’m hungry), and the residents are quirky and charming. 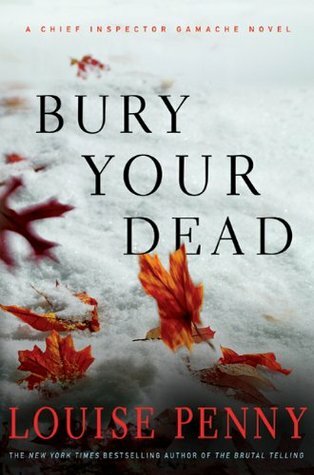 I just finished the sixth book in the series (Bury Your Dead ), and it was heart-wrenching and just a level above the previous books. A good mystery is my guilty reading pleasure, but these are more than just the mystery. The characters and locales are well-developed, and Penny is a gifted writer. I’m going to have to start rationing the last few books, so I can keep enjoying the series for the rest of this year. 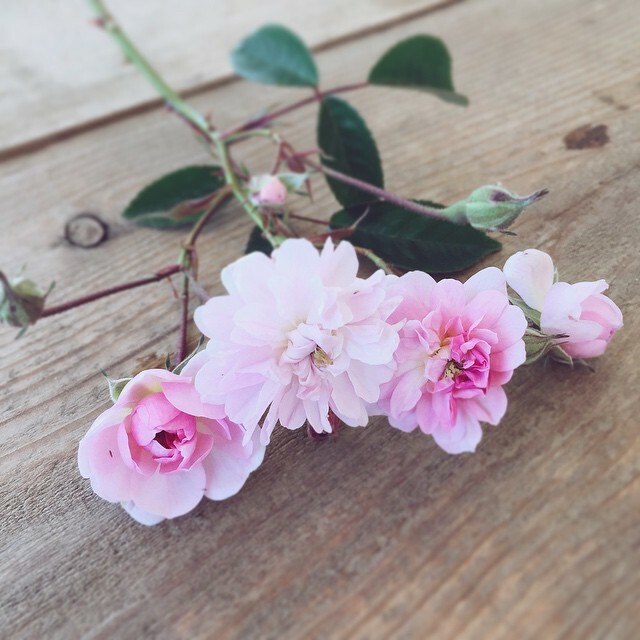 I’m a little scattered, knitting-wise, so I’m just going to throw a bunch of my recent knitting-related thoughts up here and maybe purging my brain will help me focus. I keep wanting to knit all the things and also buy all the things. 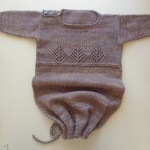 Knitting Projects: I still have that list of sweaters to work on, and I really do want to get as many of those made this year as possible. The trouble is that I keep getting distracted by other things. 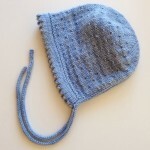 I just finished a hat, I have two shawls, and a baby bunting on the needles, and I am trying to write up a pattern for a pair of socks but I can’t make the chart work properly. So what do I do? I just go ahead and start one of those sweaters. Yeah, that makes sense. 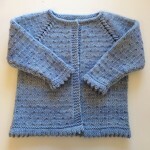 Yarn: I should write a post about stashing yarn. My stash is currently pretty great, although maybe a bit too big. That doesn’t stop me from wanting to buy more yarn. I’ve gotten a lot better about buying yarn with a specific project in mind. But then I saw this the other day, and there was no way to resist. 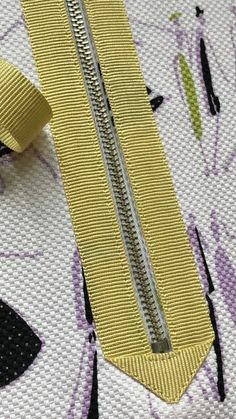 Knitting Supplies: I would like one of every thing from Fringe Supply Co., but especially this needle gauge, some bento bags (in natural linen, please), and a rice basket or three. 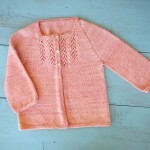 Knitting Podcasts: Since I can’t knit while I drive to and from work, I like to listen to people talk about knitting. I’ve found that the podcasts I like the most are the ones with two people having a conversation. 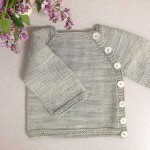 My most favorite podcasts right now are Knitting a Story (I like the way they giggle, and I think we would be friends IRL), and Prairie Girls Knit and Spin (I would also like to be friends with them, and I like their giggles too).